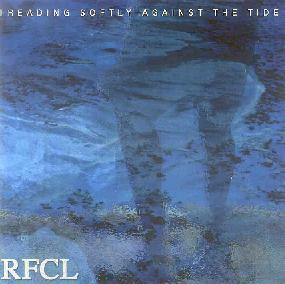 Radio Free Clear Light - "Treading Softly Against The Tide"
Electronic. Juan Carlos Mendizabal aka Kyron (keys), Ricardo Isaac Flores aka Koyote (keys) and Samael (additional vocals). Ambient soundscapes. Synthesized sounds, beautiful, buzzy, bubbling. A creation of loops, gradually expanding outward, adding. Electronic music. No melodies. Explorations. RFCL does electronic music. I think they are half SERIOUS and half spacey. The music is well done, even though I think it’s supposed to have meaning. I don’t think too much when I listen to music; I let it take me where it (or the musicians) want. This stuff is mostly electronic explorations. Inside the explorations, I found ambient, loops, soundscapes, and electronics. Very well done, crafted even. The tonal structure is pleasant, not harsh, enjoyable to listen to. So, if you’re an ambient kind of person, you might like this, but you’ll have to work for it. If you like electronics, this has lots of nice explorations. Space, about the same as electronics, it’s out there. Check it out. Contact via snail mail c/o Black Note Music; PO Box 3251; Daly City, CA 94015-3251.